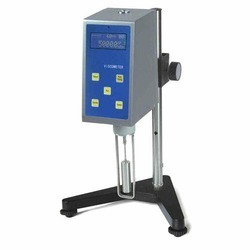 Viscometer , falling sphere type , standard joint fitting. 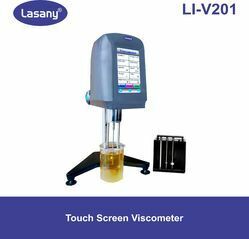 Owing to the rich industrial experience and expertise in this business, we are involved in providing a supreme quality array of Speed Viscometer. High Shear Viscometer Brookfield's CAP-2000+ offers expanded temperature and viscosity ranges with variable speed capability. The CAP2000+ now offers lower shear rates, making it suitable for many applications where small sample volume and good temperature control are necessary. And the rugged, easy-to-use design make it perfect in environments where other instruments won't last.